The Globe and Mail is Canada’s national newspaper, the most prestigious newspaper in Canada. Like other papers, 75% of its revenue comes from advertising. The other 25% comes from readers, but there is a catch. The circulation to readers is essential to attract the advertisers. To advertisers, not all readers are alike. Most advertisers prefer middle class city dwellers to rural blue collar subscribers. To increase its advertising revenue, therefore, which was the lifeblood of the paper, The Globe and Mail had to increase the number of middle class urban subscribers. How to do that? Early in the 1980’s the circulation department fell into a trap. They began to offer a trial 3, 6 or 12 month subscription at a 50% discount from the regular price. They couldn’t advertise this discount, or their regular subscribers would feel like chumps and stop paying full price. The deal had to be made under the table. The method: telemarketing to non-subscribing selected householders in the right neighborhoods. The scheme worked. The Globe and Mail boosted its circulation. But there was a heavy price. Eighty-eight percent of all new subscribers dropped their subscription after the discount period was over. Investigation showed that many of these lapsed subscribers liked the paper, but found that they could get it without paying the full price. They reverted to single copy purchases until the telemarketers got around to calling them again for another shot at a 50%-off deal. The net result: it was costing The Globe and Mail $7 million per year for telemarketing expenses, while losing $3 million per year in 50% discounts. It was really a trap. At this point, Nigel Pleasants was appointed Director of Readership Development, which included establishing the circulation marketing strategy. After some experimentation, he evolved a solution to the problem which completely revolutionized the relationship between The Globe and Mail and its readers. He solved the circulation problem, and saved millions of dollars per year. In retrospect, what he did seems fairly straightforward. In reality, however, it was not that simple. He had to feel his way along, step by step, learning more and more, until he produced the winning combination. 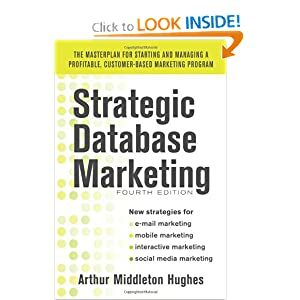 His first move was to build a marketing database of prospective subscribers. The names of existing subscribers were known to The Globe as all subscribers paid at The Globe office, not to their carriers. He took the existing subscriber list and had the data enhanced with Canadian cluster codes and demographic data provided by Compusearch. When he analyzed the data, he began to see that in some postal walks (the Canadian equivalent of the US Zip+4), there were no paid subscribers. In others there was a high penetration. How to account for the difference? By looking at the cluster codes, he was able to find reasons: The Globe and Mail really appealed only to Canadians with certain lifestyles, and not to others. Armed with this information, he could do a much better job of building the prospect database at which to target his telemarketing and direct mail efforts. The existing telemarketing program that he inherited dialed most numbers in the telephone book. It was costly and unproductive. Each 3 month half price subscription obtained by the system cost The Globe and Mail about $40 in telemarketing and processing costs. The subscriber paid about $30 for the three months and only about 12% renewed at the end of the period. It was a losing proposition — except that it was necessary to keep the advertising revenue. Nigel decided to increase the efficiency of the telemarketing effort. He purchased predictive dialing equipment, which doubled the number of contacts per hour and using the prospect database, dialed homes which research showed were most likely to subscribe, and contained people most likely to buy from advertisers. The resulting system worked very well indeed. He cut more than three million dollars per year off the telemarketing costs. But he hadn’t gone far enough. Then Nigel did something quite radical. He abolished discounts entirely. The only way to subscribe to The Globe and Mail was to pay full price. No exceptions. People should take the paper because it was the best one in the country, not because it was cheap. You might expect the result: it was much harder to get people to subscribe. But those who did, tended to renew much more easily. His retention rate for new subscribers went from about 12% to 45% in a matter of two years. The no discount policy was perfect database marketing strategy: focus the customer on the product and the relationship, and forget about the money. It is worth noting that at $200 per year, The Globe has one of the highest subscription rates in North America. His final innovation, however, was his most important one. With the help of an outside marketing consulting firm, Geoffrey Bailey & Associates, he established a “Til Forbid” system of automatic monthly payments for the paper. When the telemarketers called, the only option that they offered to subscribers was an automatic monthly payment program: we will keep sending you the paper month in and month with the cost charged to your credit card each month, until you forbid us to continue. By training his telemarketers to use this approach — and only this approach — he was able to get 90% of all new subscribers on the “Til Forbid” plan. The retention rate of new subscribers after a year went up from 45% to 69%. The Toronto Star instituted the same plan in the early 1990’s and soon had 80,000 subscribers on automatic payment. Two years later, the Vancouver Sun increased its paid-in-advance subscribers from 30% to 93% and also adopted the automatic payment plan. At the Vancouver Sun, subscribers who opt for automatic payment receive a bag of grocery and household items, and are eligible to participate in a monthly contest. Winners get their previous month’s VISA or Master Card bill paid by the newspaper company, up to $1,000. For winners without credit cards, the company will deposit $250 in their checking account. At The Globe and Mail, the four changes introduced by Nigel Pleasants reduced the costs of their circulation department by $3 million per year, increased revenue by $3 million per year and also built customer loyalty. Scores of other papers have adopted similar programs with varied amounts of success. Nigel Pleasants’ circulation innovations are an example of the type of benefits that come naturally to well planned database marketing programs.